Hyderabad Sep 15 (IANS) BJP President Amit Shah on Saturday said the party would take a decision at an appropriate time about finding an alternative leader to ailing Goa Chief Minister Manohar Parrikar. "For now we only wish Parrikar a speedy recovery. The party will take a decision at an appropriate time " Shah said at a news conference here when asked if the Bharatiya Janata Party has taken a decision to find an alternative leader. Parrikar who is suffering from advanced pancreatic cancer headed to New Delhi on Saturday for further treatment and examination at the All India Institute for Medical Sciences (AIIMS). 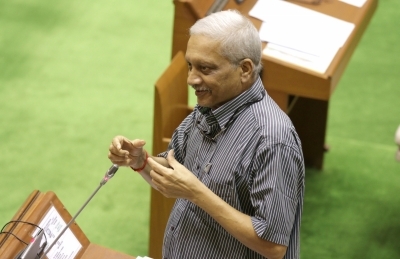 A central team of BJP observers is expected to arrive in Goa and meet legislators and representatives of allied parties while also finalising an alternative leader of the BJP-led coalition government in Parrikar s absence.